Kaka one of the greatest players ever!!!! MLS has the pleasure to have him!! Every encounter he has with the ball is pure magic. Currently a Midfielder for Orlando City FC. The Brazilian national Ricardo Kaka was signed to Orlando FC in 2014 but was on a loan to his first club Sao Paulo. He Returned to Orlando in 2015 and scored in his first match against Dallas FC on a friendly. 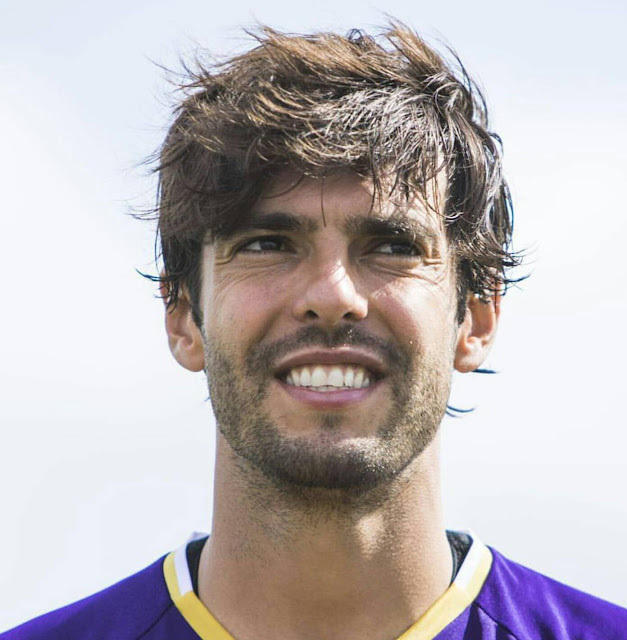 Kaka scored the first goal in Orlando FC's competitive history. He his a great distance scorer and creative player. His great vision and passing abilities comes to great help for his teammates. He has also graced the cover for FIFA11, FIFA12,and FIFA16. On July 5,2015 he received his FIRST straight red card in his Career!!! I have encountered Kaka it was a magical day!!! March 13,2015. I can tell you that I was borderline crying. Unfortunetly I wasn't able to get a picture with him but after waiting a while outside BBVA Compass stadium I was lucky to get his autograph. 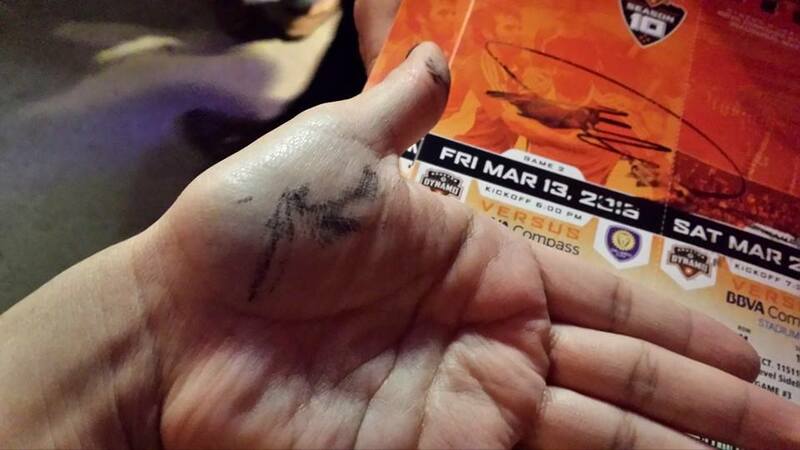 Among the excitement and chaos I accidentaly smeared the fresh autograph!!! I was mad and devastated!! I hope one day I can take a decent picture with this legend.